– I wanted to travel the world until I did not have to search anymore. Today I know that life is a journey that brings you to the end of the world, a return to the harmony we have lost. These are the words of the great explorer Ella Maillard, one of the very few Western women to have reached Nepal in the 1950s, and also the inspiration behind BYREDO’s latest perfume, Eleventh Hour. A perfume created to represent Ben Gorham’s version of “the last perfume”. For the Eleventh Hour, BYREDO has stepped into survival mode to create the idea of a journey towards the absolute, an ultimate experience, an expression of urgency. For its launch in Paris, he wanted a pop-up store as an immersive experience into the idea of survival, a kind of extreme camping. 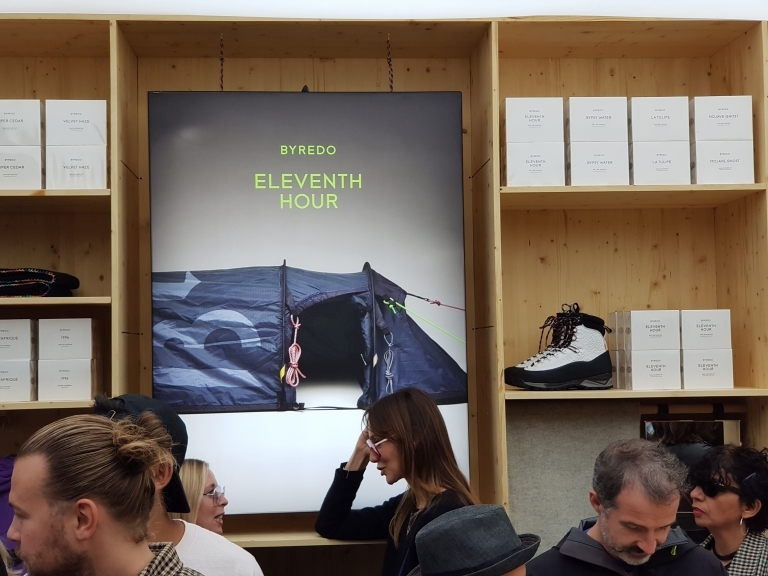 Located at 11 rue Debelleyme in the Marais – 11 as in Eleventh Hour – the BYREDO pop-up borrows from the worlds of camping in a creative, playful set-up calling on all five senses. – This entire pop-up is a build-out and an exploration of that idea in the form of a camping store. In order to make his vision a reality, Ben Gorham and BYREDO teamed up with several technical equipment brands such as Leatherman, Vargo, Stanley, Our legacy and Diemme to collab and enchance the idea of survival, and a kind of extreme camping. 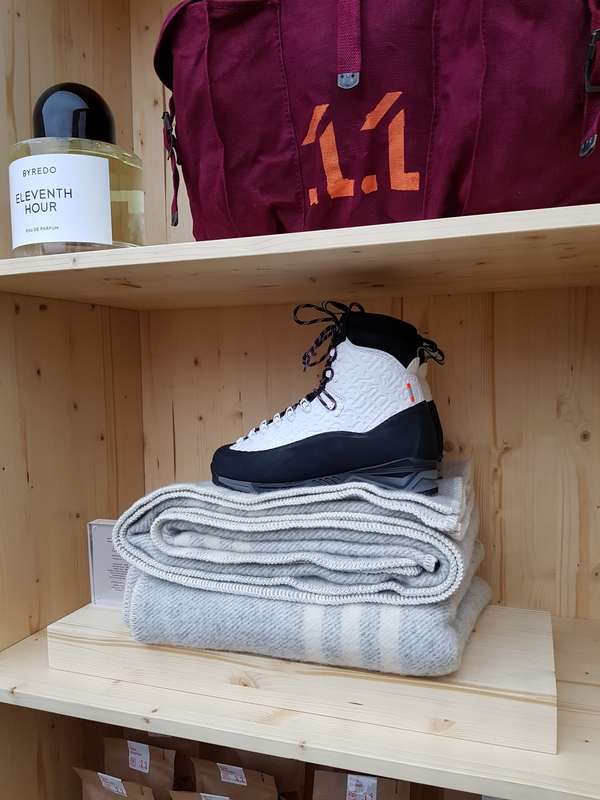 Together with BYREDO Diemme created a special version of the hiking boot Everest, with Diemme dna such as Vibram sole and classic hiking look, and BYREDO’s already iconic font imprinted as an alphabet in white leather. The result became a perfect fusion between theme and brands. The boot will be produced in a limited number and sold exclusively through Byredo’s webshop from end of 2018.